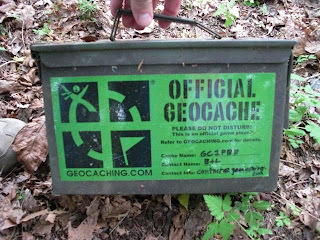 While Rving this past winter, JC and I discovered "geocaching" which is a kind of game that involves finding "treasure" using GPS coordinates (we have a hand held GPS receiver). 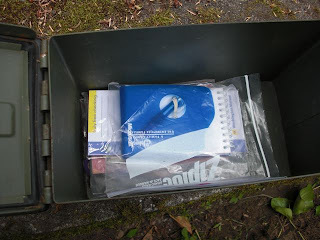 Today we decided to do some geocaching on Vashon Island, just a short ferry ride across the sound. 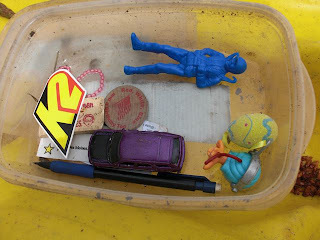 This was our first find - just off a parking lot near the Vashon ferry docks. 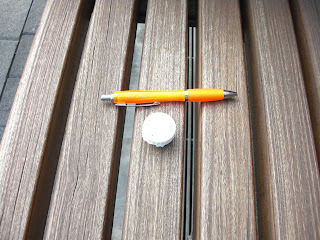 As you can see this was a really tiny cache. The next one we found was under this block of driftwood at the opposite side of the island in a church camp that apparently hasn't started the summer season yet. 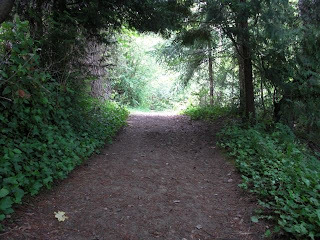 Part of the walk down to the water at the church camp - beautiful site! 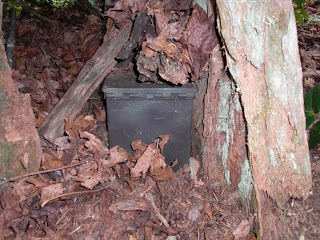 The final cache on Vashon was on the other side of Quartermaster Harbor from the church camp. 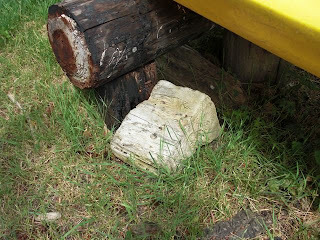 As you can see, this one was hidden in a rotted out log. These people are serous about this! Took a car and left an easter egg on this one. 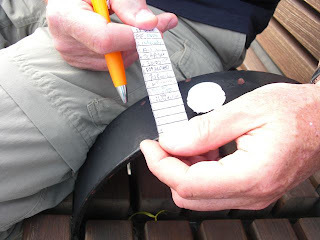 We came back to the city and decided to do three "urban" geocaches. 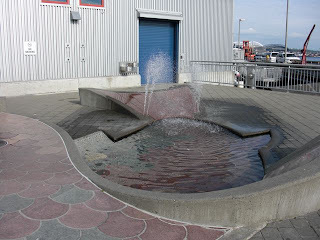 The first was near Bell Harbor and involved deciphering the GPS coordinates through a serious of clues such as counting the number of sections on the tail of the fish fountain to get one of the coordinate numbers. We finally solved all of the sections of the puzzle and eventually found the "micro" cache. 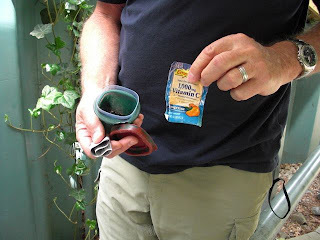 As you can well imagine, hiding a cache in the city takes some ingenuity and they are often "muggled" (jargon for destroyed or taken by someone who doesn't know or care about geocaching). This one was a coke lid screwed on to a container no bigger than the lid itself. Unfortunately, we were not successful with the other two we were looking for. The first we could actually see, under some urban "art" on our block, but it looked too nasty for us to retrieve. The other one we just could not find and thought it might have been muggled. 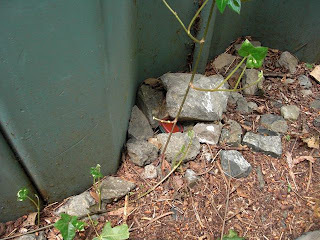 When we came home and went to the web site, we saw that it had been found once today. We may try that one again. Had to go to Zeeks for pizza after that - this geocaching is hard work!! Well, we were near Zeeks when we gave up on the last one!